A proclamation is an official designation of a day or event that can be used as a tool for gaining public recognition. Proclamations can come from any level of government, including governors and mayors, and carry the full endorsement and support of the government entity that issues the proclamation. You can request a National Penicillin Allergy Day (September 28) proclamation to be issued in your community. Once a proclamation is issued, there are many ways to share it, as part of and in support of your ongoing National Penicillin Allergy Day efforts. Below are just a few ideas to get you started. Send a press release or incorporate information on the proclamation into a press release for your local media. 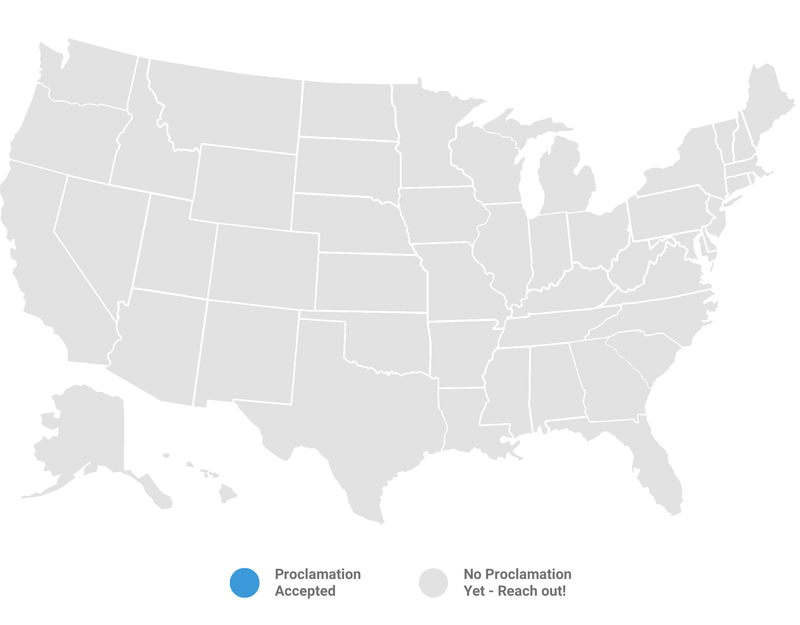 Announcing the proclamation can help bolster the “newsworthiness” of your release and may help to get more attention, from reporters and others, for your organization’s activities. If you’re holding an event or activity, use it as an opportunity to announce your state's official proclamation of National Penicillin Allergy Day. Invite reporters and local health organizations by sending a media advisory and distributing printed copies of the proclamation at an event during National Penicillin Allergy Day. You can also have the proclamation enlarged to display at a news conference, event, or in your office. Send the proclamation to local health organizations, community leaders and others, and encourage them to display the proclamation in their offices and on their websites. Post the proclamation to your own website, newsletter, and socialize it on your social media properties including Facebook and Twitter. We've made it easy for you to submit a proclamation request for your state or city by providing pre-written draft proclamation templates and specific instructions. Find the icon for your state below, and click to access the templates and instructions for your state, as well as major cities in your state. Has your state joined the ranks? Make sure you resubmit a proclamation request for National Penicillin Allergy Day 2019.